At the heart of our life together St. Mary w. St. Leonard’s Church in Broomfield is a worshipping community. We are Christians, and we believe that God has made himself known to us through Jesus Christ. So we come together as the family of God to learn more about Jesus, to allow the Holy Spirit of God to move and enable us, and to worship God who created this world which we inhabit, who loves his creation and who wants to be in a relationship with us. To that end we offer a variety of opportunities to worship God. 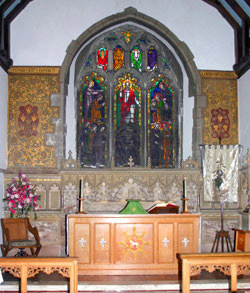 There are quiet intimate services of Holy Communion using both the Book of Common Prayer (BCP) and Common Worship. 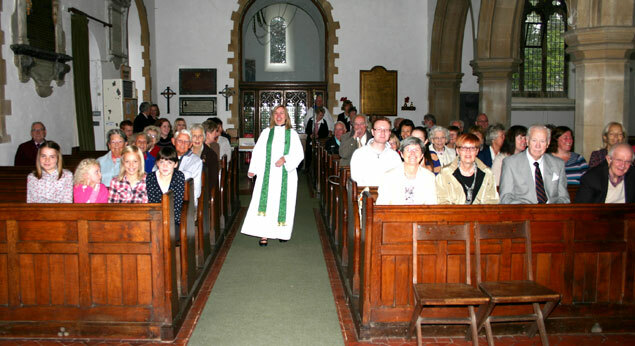 There are sung Communion Services where we share the Eucharist in a lively atmosphere. We have services of the word, where we concentrate on learning about the Christian faith. Then there are our family services where people of all ages gather together to worship God in a vibrant and friendly atmosphere. As well as the opportunities to worship God we also have a variety of courses where people at all different stages on their journey of faith can learn more about their relationship with God, through Jesus Christ. As the Parish Church in Broomfield we also offer Baptisms to both infants and adults, Confirmation classes run at least once a year. People who live in Broomfield, or who have a qualifying connection to the parish can be married here. The Pastoral team take many funerals and we offer pastoral care to the bereaved. We have an open church yard here in Broomfield for both burials and internment of ashes. We have a vibrant social life which centres on the church. We have a diverse number of groups and we take every opportunity to party together, eat together and to offer hospitality to the people of the parish. We hope that you will enjoy browsing our website. If you would like any more information please do contact Carolyn the Vicar here in Broomfield, or any of the staff.